The government has been advised to prioritise local content and local participation in awarding upstream petroleum contracts, as it prepares to launch its first-ever bidding round in the growing industry. Government announced recently that it will be issuing new licences to deserving companies by the fourth quarter of this year, during the country’s first-ever bidding round to award new licences to major IOCs.Following the ExxonMobil deal, the country is looking at doing business with global E&P giants to allocate about six new oil blocs in a bid to sustain production in the oil and gas sector. Local content, Dr Theophilus Acheampong – a petroleum economist – believes must be given priority in the exercise. 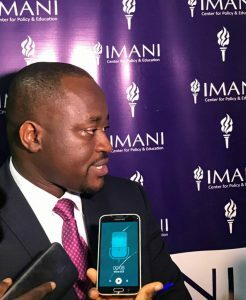 Dr. Theo Acheampong was speaking at a public lecture organised by IMANI Africa on the topic ‘The Critical Future of Ghana’s Energy Industry and How to Avoid More Surprises to Ghana’s Growth Prospects’. He said the subject of local content should be paramount among two other critical issues – financial capability and technical competency – in the discussion to award new exploration licences. He said because the country depends on four main commodities, a drop in world prices has an effect on the amount of money that can be accrued. For this reason, focusing on local content and participation will help develop capacities to ensure that maximum revenue is retained by local companies to help boost the economy. 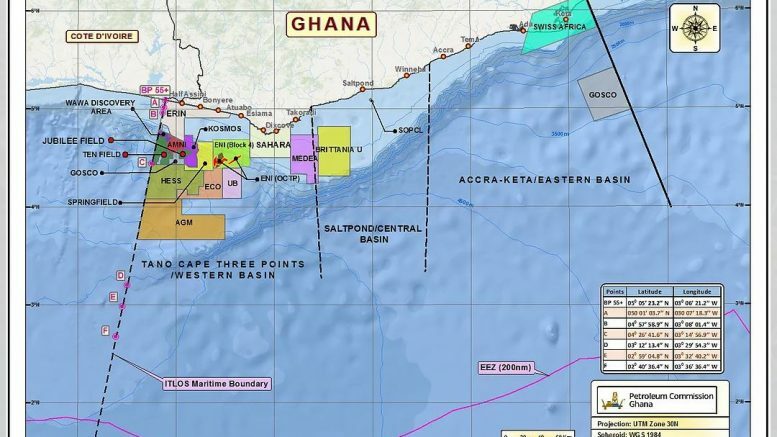 He added that projections from oil revenue and Ghana’s growth prospects in the sector hadn’t been met over the years because of a fall in world prices of oil and gas since 2015. “What happened was when oil prices declined, we saw that having a negative impact on the economy – to the extent that the budget at one point was making projections of us getting US$1billion of the revenues in a particular year; but prices declined and we got less than US$400million of those revenues coming in. That’s the extent to which the dependency on these commodity exports can expose the country. “So beyond that, we’ve got to look at creating linkages within the value chain so a lot more value can be retained in terms of jobs and in terms of businesses, so the Ghanaian can compete at international level,” he explained. He advised that government should develop a clear roadmap for building local capacity to help move local participation from low-hanging fruits to higher-earning sectors – such as well-drilling and fabrication services. These areas, he revealed, will attract a high spend between the short- to medium-term. The energy economist explained that government must also consider the financial capability of companies which show interest during the bidding round. This will help assess whether such companies have the financial means to carry out exploratory work in allocated oil blocs. “You want companies that have the money and resources to be able to do the exploratory drilling. It will cost you on average about US$50million to US$60million to drill just one potential well – of which the success rate is only about 20%. Meaning it is only one in every five wells you drill that is successful. The other four might not be successful. “So, you need companies that have the financial muscle to do the exploration programme that needs to be done,” he disclosed. On the issue of technical competency, Dr. Acheampong argued that government should look out for companies with the right personnel, exposure and expertise. He said focus should be on those that have done similar work in other jurisdictions, such that they can apply these within the Ghanaian context. Beyond these issues, Dr. Acheampong advised that government should ensure clarity on bidding parameters, draft a new fiscal regime, and develop stronger institutional framework as it moves to ensure sustainability of the oil and gas industry. He said that beyond local content, government should also be looking at leveraging on oil receipts to grow the non-oil sector of the economy.